3.2 Will My Hand Hurt after a Few Hundred Cases? 4.1 Can I use any shell holder on my hand priming tool? 4.2 Is there any difference in between mounted hand primers and portable hand primers? 4.3 How do I make sure that I don’t crush any primers? 4.4 Can I use the same shell holder I use on my reloading press? Not sure to get the best hand priming tool? This written piece can help. Forget the salesy reviews on the internet and read the whole! If you are a gun enthusiast, you may already know that reloading cases can be a great way to save money. You will be the one deciding on how much to spend on every item required for reloading. But even when reloading your own cases, there are many choices you can take before buying new components. For example; if you decide to buy pre-primed shells, you may spend a lot more money than necessary. Used shells can be re-primed many times, more so, it is much cheaper.Plus, it is not rocket science! One of the easiest ways to prime a shell could be using a hand priming tool. If you are planning to prime each case by yourself, you better get the perfect one for you. But this can be difficult since there are many different models out there. Well, we unveiled 4 of the best hand priming tools for reloading on the market for you. But you obviously won’t know which hand primer to purchase based on wordy reviews only. Therefore, we also attached a buyer’s guide, so you know what to look in a hand primer to live up to your needs. 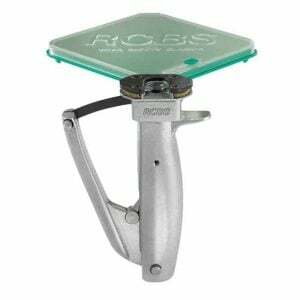 RCBS Universal 90201 Hand Priming Tool For Cases .32ACP/.45-70 Govt. This unit is designed for those of you who hate crushing primers. This model has a dial in which you can set the seating depth to one-thousandth of an inch. Once you set the dial where you want, you just have to squeeze on the handle without any possibilities of ruining the primer, since it will hard stop when it reaches the depth set on the dial. This priming unit comprises 12 shell holders for the 12 most popular calibers. These holders can be stored in the storage case with the priming tool for an easier access to them. 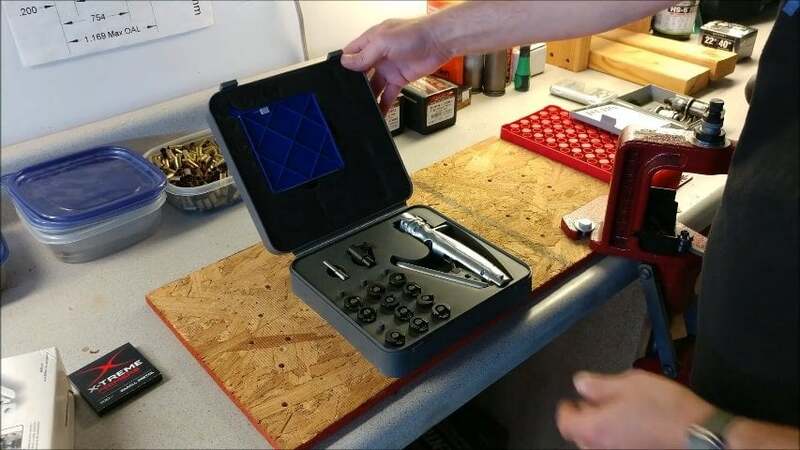 This case is great since it is made from durable materials to ensure your tool and the holders are always protected. The priming tool frame is made from die cast zinc, while the internal components are made from steel. The die-cast zinc frame will not bend, even if you apply a great force to it when priming a case. The primer supply tray can hold up to a hundred primers at the same time. It works perfectly with both small and large primers.Furthermore, it is easy to change between them thanks to the thumb release. Also, the primer tray has ridges on the inside, so the primers are always facing the right direction. Other from the occasional primer going the wrong way, customers have not experienced any big problems with this priming unit. It is reliable, durable, and you can get work done fast. But all of these features come with a price. It is the most expensive model on this review, but it is worth every penny. You don’t have to squeeze the priming tool until it feels right thanks to the dial. And because of this, every single primer will be at the same depth in every case. If you are looking for maximum sensitivity on your primer, this model has the potential for you. Thanks to its universal shell plate, you can prime a wide variety of cases without the need of buying many different shell holders. Herein, you only have to modify the unit when working with small or big primers. The universal shell holder has opposing jaws that allow the case to be perfectly aligned with the primer. Because of this, you are less prone to errors when seating the primers on the cases. Plus, the ergonomic handle is comfortable even after priming a few hundred rounds. It is designed to be safe. The tray can securely hold several primers at a time, and this is a great feature if you are looking to reload several cases at a time. The removable tray correctly sets primers of most manufacturers. You just need to be careful when snapping the tray over on, since most primers will bounce turning them the wrong direction. It has a safety gate in the tray to make sure the primer – that is in the priming process is completely separated from the rest of the primers. This is an important safety measure since you can be sure that no primer is going to detonate by accident. A downside of this product may be the fact that the process may be slower since you have to remove every cartridge by hand once it is primed. Other models simply let go off the case for an easier reload. After priming, the universal shell holder may tighten the grip, making the removing process slower. This handy tool is another great quality priming unit from RCBS. As with the last model, the RCBS 90200 also has a safety gate to separate the primer that is being seated from the primer supply, reducing the risk of tray detonation. Although it might share some features with the previous model, there are many unique features on this unit. There are no shell holders included in this model, but don’t worry. You can easily reuse all your shell holders since this priming tool uses the same shell holders as many RCBS reloading presses. If you are not working with an RCBS press, you have to buy each shell holder separately. It is mostly made of cast metal, a common but durable material. Because of this, you can be sure that the priming unit will work perfectly even after years of using it. It seems fairly easy to use, and it comes with a manual with instructions on how to properly use it, but you may destroy a few primers either way. There is a certain method you have to use to reduce the possibility of ruining a lot of primers that are not written in the manual. Although the tool may work perfectly with 100 rounds, your hand will begin to cramp (even if you followed every step on the manual). You should take your time with this model to make sure you that the case is primed correctly. Each customer found a different way to manage this unit, you just need to find yours. You must be patient as you may possibly destroy several primers on the way. Many Lee reloading presses come with a priming unit, but this product is designed to be a full priming station on your workbench. This model can be secured on your workbench for increased stability, making the priming process smoother and more precise. It is easy to fasten the tool down on your workbench. It takes just a few minutes of your time to put together and it won’t take much effort since the whole unit is not that heavy. It already comes with all the nuts and bolts required to mount it on your workbench. There are no shell holders included with this unit, but it will work perfectly with all Lee shell holders. It is simple to use, and one it is mounted and lubricated you can begin priming within seconds. You just need to choose the right assembly, slide the shell holder in place, set the primer on the holder, and move the handle until the primer is set. The primer tray can be set in 3 different positions, open, locked and feed. The open position lets you load the tray with new primers. The hocked position sets the tray on the primer but won’t allow any primers to go into the holder (Basically this is how you store it). And the feed position allows a single primer into the holder, isolating it from the rest of the supply. You will need to get used to the primer tray. When you try to shake the whole tray to get the primers in the position you will feel how it forces your hand to get in the folded position. It is an acquired taste since you will probably find this annoying when you start using it. Also, the pockets in which the shell holders go is not tight on the holder. This means that the shell holder may fall occasionally. There are a few models that already include all the shell holders necessary to begin priming. You should make sure you get a priming tool with these included, or you will have to buy each of them separately. It is no big deal since these are not expensive, but it may be difficult to find some specific sizes. If you are not a fan of this, you can also look for a priming unit with a universal shell holder. You won’t have to buy any additional shell holders, but the process can be a bit slower. Usually, when you are hand priming a case with a specific shell holder, you can work with a tray or bucket under the primer, so you just have to set the cartridge on the primer, squeeze, release the handle and watch the primed case fall onto the bucket. But with a universal shell holder, you cannot do this since you get to remove each case by hand each time you prime it. Will My Hand Hurt after a Few Hundred Cases? If you like to practice on a shooting range with your own rounds, you may be priming hundreds of cases at a time. Because of this, you would like a comfortable and fast primer. The best hand primers come with an ergonomic handle. You will surely be priming at least a few hundred cases at the time, and your hand will surely cramp up after a while. An ergonomic handle helps you to get a better grip on the tool, reducing the possibility of getting cramps or getting tired because of repeated action. Also, an ergonomic handle can be useful for more precise priming. Most models do not have a predetermined seating depth, so you will have to feel how deep you want the primer to be set. The better the handle, the more sensitive will it be. This means that you will have less crushed primers to deal with. This may be one of the most important aspects of a hand primer. A single detonated primer can lead to a chain reaction where all the primers o the supply will detonate as well. Most hand primers now a days comes with a safety gate to separate the primer that is being primed of the rest of the unused primers. You are working with deadly gunpowder. This means that a mistake where you accidentally detonate a single round on a hand primer can cause severe damage. Hand primers are supposed to work specifically as you need them to, but you have to make sure everything is in place and safely secured when using the primer. Because of the continuous danger you are in when priming, here are a few safety precautions you want to tan into account when working with hand primers. Eye protection: You should always have your eyes protected since a minor error can make primer pieces to blow out of the hand priming tool. Proper primer storage: Every primer should be inside their original package when you are not using them. Also, make sure your store this package in a dry place away from any heat sources. Can I use any shell holder on my hand priming tool? No, if the primers do not have a universal shell holder, you will have to get the shell holders specific to the brand of the tool. Is there any difference in between mounted hand primers and portable hand primers? Overall both tools get the job done. It mostly depends on your comfortability. If you want to be able to prime cases everywhere, the portable hand primer is a safe bet (obviously). On the other hand, mounted hand primers provide increased stability, apart from the fact that the hand primer toll will be right beside your reloading press. How do I make sure that I don’t crush any primers? There are certain models in which you can set the desired seating depth. It means that you will never crush a primer again. If by any chance you have a hand primer in which you cannot set any seating depth you will have to feel for yourself. Once you feel the primer set you will have to release. Because of this, many primers will surely be at a different depth than others. Can I use the same shell holder I use on my reloading press? If the press is the same brand as the hand primer you should be able to use the same shell holder. Sometimes paying a little bit more for greater quality is a good decision, especially when purchasing something you plan to use for a long time. However, we believe that the Frankford Arsenal Perfect Seating Tool is the best hand priming unit here. There is no way you crush the primers, and thanks to the configurable dial that you can set to desired seating depths. This means that each primer on each case will be set at the same depth as all the other primers. There are 12 shell holders included, one for each one of the most popular cartridge sizes. Also, you can easily store all these holders and the priming tool inside the storage case that is already included when you purchase this model. The die-cast zinc handle may not be as comfortable, but it is designed to withstand a great force. Also, it comes with a safety gate to isolate the primer.It will be loaded on the cartridge from the primers (on the tray) to reduce the possibility of tray detonation. Joseph Fox is a 45 years old blogger & passionate hunter from United states. He is also a firearm enthusiastic & likes to share his experience with you. He has a teaching background & now works as an author of Gunloading.com.